Solving the majority of behavior problems in dogs such as digging in the yard, jumping up on people, stealing off counters and chasing vehicles is as simple as going back to the basics, according to one of the top dog trainers in the country. " The majority of behavior problems decrease once a basic level of training is established," according to Keith Benson of Triple Crown Dog Academy, a nationally known dog training, boarding and event center in Hutto, Texas. In a puppy, most of those problems will be addressed as the puppy progresses through training to the basic commands of sit, down, stay, heel and come back. Likewise, with a more mature dog such common behavioral problems will go away with remedial training -- a refresher course if the dog has been previously trained -- or from scratch if the dog has had little or no training. The most important step to take to correct such behavior is "spending time with the dog, giving it the attention he or she deserves," Benson said. "A lot of the frustration that causes behavior problems is a result of poor communication." And, it may seem simple, but one of the best solutions to any of the common behavioral problems is to prevent it from happening, Benson said. In other words, don't give the dog the opportunity to do it. "If they've already done it, it's too late to correct them," he said. Remember consistency is important. Once you start using corrective techniques you have to be consistent, and be available to be consistent, Benson said. You can't start behavior training and then leave for a few days and not expect the dog to lapse back into old habits, he said. Dogs dig for a number of reasons. Some dig holes because it creates a cooler spot to lie in. Some are bred to dig (i.e. terriers that dig to flush out prey or rodents). Others hear insects or high-frequency sounds underground; others smell something. Some dig because of frustration and anxiety caused by being confined behind a fence. "The best way to correct problem digging is to catch the dog in the act," Benson said. Many times a dog understands that when the owner is home, he can't dig or the owner will open the door and yell or throw something. But the dog may quickly learn it can dig when the owner is not home. When the dog is caught in the act, each and every time it is caught in the act, give it a momentary stimulation — just enough to stop the behavior, Benson said. This is particularly effective if you are watching from inside the house or somewhere where the dog can't see you so he doesn't make the connection to whether you are home or not. The dog will learn it can't dig in that spot, but it may try another area which is why you have to be consistent. If you're going to be gone, put the dog inside, in a kennel, pet crate or somewhere it can't dig so it can't get away with it in your absence. Consistent reinforcement is the key, Benson said. With intermittent reinforcement it is hard to extinguish any behavior. The main reason dogs jump up on us is simply that they are trying to greet us, to get up to our level, Benson said. "I always tell clients not to punish the dog but teach it a more appropriate greeting, like running up, sitting and then receiving praise," he said. Again, use a remote collar to teach and reinforce the sit command. If the dog runs up to you, have it sit, then offer praise. "You're giving it an appropriate behavior to replace the bad behavior," Benson said. Destructive chewing can be treated much like digging in the yard, Benson said. Dogs chew for many reasons: it relieves stress and boredom; it's something to do. "Dogs interact with their environment using their mouth and teeth," Benson said. "They don't have hands to explore with. Chewing is self fulfilling. It's enjoyable. Frankly, they don't know the difference between the toy you brought them from the grocery store and a slipper. And, you can't expect them to know the difference, particularly at a young age. Again use a training collar and, again, you have to catch them in the act. You can't correct them after they've done it. And don't bother dragging them over to show them the scene of the misdeed. "He's not going to understand what you're trying to communicate," Benson said. "That's a myth. Even if you show them, they simply can’t make the association like a human." Catch them in the act and give them a momentary stimulation, then give him something that he can chew on again replacing inappropriate behavior with good behavior. Stealing something to eat is usually a product of the dog's environment. Being animals of opportunity, a dog is likely to find it hard to contain itself when it discovers a tasty morsel. Prevention is the best cure, Benson said. Don't leave food in the open on a counter or anywhere the dog can get to it, he said. And, if you catch him in the act, only then is it appropriate to give him a correction with the training collar, he said. The chase behavior is one of the most serious behavior problems, because a dog chasing vehicles is at risk of being hit by that or other vehicles, Benson said. For chasers, it's back to the basics, starting with the come back command, he said. A training collar is invaluable here. Attach a long line to the dog's collar and step away holding the line. Call his name and give a light pop on the line. It won't be long when he understands that when he hears his name he is to come. Graduating to a training collar you can give a low stimulation until the dog turns to come, then release the stimulation. The ultimate test is to set the dog up, Benson said. Have a friend ride a bike past the dog. Have a long line attached the collar, just in case. Gradually the dog will learn not to chase because every time he does he gets called back. Make sure to praise your dog when he returns. A very annoying habit - technically called coprophrasia and difficult to extinguish, Benson said. It may exist for many reasons. It could be the dog is attracted to the odor or perhaps it was not raised in a clean environment. They might also be attracted to the leftover proteins in the waste. Again, prevention is the key. Keep your yard clean, especially if you leave the dog out in the yard unsupervised. Also, you may consult your vet or pet store for over the counter remedies that make the feces unpalatable. There are some situations for which Benson does not recommend using a training collar: housebreaking, play biting and extreme forms of aggression. If you have an extremely aggressive dog, consult a professional trainer, Benson said. To address some aggression in a corrective manner, you can actually make the behavior worse, particularly if the aggression is rooted in fear, Benson said. Housebreaking can be so simple just by using a crate and monitoring the dog that you shouldn't have to punish the dog during training. 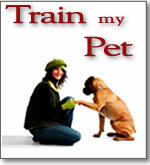 Simply set everything up in the dog's favor so it is easy for him to learn. Teach him where and when to go to the bathroom. "If there is an accident on the floor it was most likely my fault, not the dog's," Benson said. With play biting it is so easy to redirect the dog to something else, Benson said, particularly when in the puppy stage. Simply make the dog follow either a sit or down command and reward it with a cookie or other treat. Don't let him think you are rewarding him for play biting. Make sure he understands he is being rewarded for doing the appropriate behavior.